Veteran Coffs Harbour trainer Jim Jarvis is upbeat about a discard from a billionaire national racing company who offers compelling form lines for the Highway series at Royal Randwick on Saturday. Well-bred Evopex, originally a $160,000 yearling purchase, contests a TAB $60,000 Highway Plate Class 3 (1600m) on the strength of strong-finishing wins with big weights over 1450m and 1600m at Coffs Harbour recently. Jarvis [pictured left], formerly from Cranbourne, is like all involved in racing, sharing the unlimited crowd appeal and excitement for the return of all-time great Winx. “I’ve been around a long time; seen some champions, but that mare is just the best I’ve ever laid eyes on. 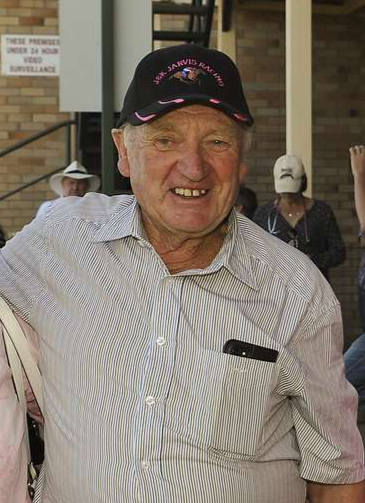 Her and Black Caviar - I'm looking forward to seeing her live,” Jarvis enthused. However, Jarvis certainly isn’t coming for spectator appeal as he relies on his lengthy Victorian contacts. “This gelding has genuine ability, really well-bred by Northern Meteor and an expensive yearling; he’s thrived up here and his last win was outstanding. "He’s got really strong form lines going back to that Sandown midweek placing where he was right in the market, and he’s been placed a few times in Victorian provincial grade. That’s decent form for a Highway. “He was originally owned by that billionaire Munz racing family - they’ve long had horses with Hayes, Weir and Waterhouse. They obviously thought he wasn’t up to city Saturday class. "But their racing manager told us he’d win races up here for sure. They’ve been right; he was a bargain and more than covered his purchase already. “We’ve only had him for three starts; he’s won two and was unlucky not to win the other. He’s been dominant his last two wins and he can carry weight as he won with 60kg and we know he’ll run a strong ‘mile'." Evopex, with the consistency of three wins from 12 starts and seven placings, carries 59kg for regular rider Matthew McGuren. And Jarvis was never tempted to claim or use a higher profile Sydney jockey. Matthew Dunn is a prolific series winner and again provides the favourite in last start Rosehill Gardens Highway winner, Wallander.